aerobd.news : A new version of the Embraer Legacy 650, the Legacy 650E, has been unveiled. Featuring automation and technology updates, the aircraft now carries a 10-year or 10,000-flight-hour warranty. The entry into service is scheduled for 2017 at the list price of US$25.9m. “As a testament to our confidence in the Legacy 650’s heritage of robustness and near-perfect dispatch reliability, this new aircraft carries the longest warranty available in the business jet industry,” said Marco Tulio Pellegrini, president and CEO, Embraer Executive Jets. With restyled seat upholstery, the Legacy 650E’s cabin features three distinct zones, plus the option for a separate crew lavatory in the forward cabin. The aircraft carries up to 14 passengers. In addition to a galley and a baggage compartment that is fully accessible in flight, the aircraft can be configured with one or two lavatories. The aircraft features internet connectivity and the latest in full HD IFE, with Honeywell’s Ovation Select IFE and CMS. The aircraft has a range of 3,900 nautical miles with four passengers and NBAA IFR fuel reserves. There have also been refinements to the flight deck. 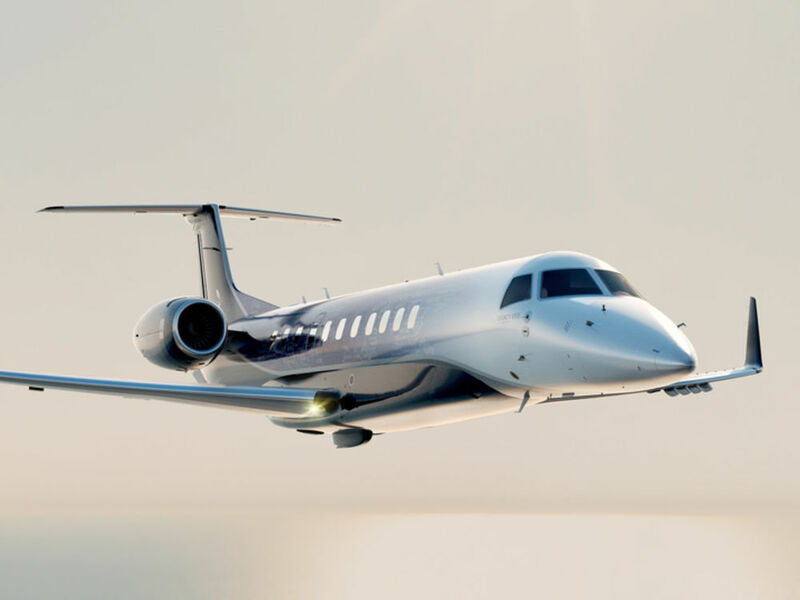 The Legacy 650E offers a 10-year or 10,000-flight-hour warranty for systems and components (OEM and supplier), matching the warranty period of the airframe. The interior warranty remains the same at two years, as does exterior paint at two years or 1,000 hours, engines at five years or 2,500 hours, APU at five years, 3,000 hours or 6,000 cycles, and avionics at five years or 5,000 hours.